According to Judith Rasband- the first lady of image management, the first Image Consultants were mothers themselves. They were responsible for grooming the child, for coaching their sons on their visual communication or the image they wanted to project. From then on it moved to teachers in schools, clerks/ salesmen in the clothing stores and so on. In India it was also the tailors. The need for image management always existed, whether it is an image that got you a job or a promotion, or someone’s hand in marriage, or even an entry into a particular school or college. Human beings have always consciously or unconsciously tried to manage their image. But most people do not know the science and art behind it. It does takes a conscious and evaluative process to project a desired image consistently. The opening up of the economy in the 1990s created an influx of funds and opportunities. And India and its intellectual manpower were accessible to the world, and the world was accessible for Indians. Opportunities were plentiful. Unlike earlier, when there were just one of three options for most people; medicine, engineering or IAS, Perestroika i.e. the opening up of the economy, opened a plethora of profiles and jobs especially in management and media. Since then, India has only grown from strength to strength in economic size and resilience. All this has given Indians a flavour of what is available out there, and the means to get there was seen in jobs and careers in growing fields. The battle for opportunity had begun. It was necessary to be seen walking the talk – not just the job but more than the job, the image. In the IT industry alone, engineers wanted to move beyond body shopping geeks to profiles in management where lay the real growth opportunities. People started going for coaching classes, trainings, etiquette classes etc. to try and tap into that elusive job or promotion. One could never be too prepared. Now the Indian government too has also woken up to this need. They have introduced programs on image management under the name of “soft skills development” of rural youth in order to help them gain employment. Many companies have been roped in to help with this endeavour. Necessity being the mother of inventions, the hour has come for professional image management or the Image Management Consultant. They offer services which help people project the image that fulfils their short and long term objectives/goals. So, a new industry is emerging. Image management includes a variety of services from evaluation of your desired image to a thorough audit of how far you are from it. It could entail a complete audit of your lifestyle, roles, goals and surely your wardrobe. The elements will include non-verbal or visual communication – from wardrobe evaluation to weight management, grooming to body language and etiquette. The consultant could also take you cluster shopping to ensure you are equipped to reflect that impressive image even immediately. Sensing this need and getting this science of Image Management to India required expertise of an unusual nature. Expertise not in setting up a business no matter how big, but expertise to create a whole new Industry. With many firsts to his name Mr. Rakesh Agarwal formed ICBI. Partnered with Judith Rasband a Global Pioneer in this Industry and the first of only 8 Image Masters in the world, they brought her curriculum to India. A program has been created so that people can be taught to become Image Consultants. Her course, adapted to Indian conditions and environment was introduced by people who were experienced in the service industry by ICBI. 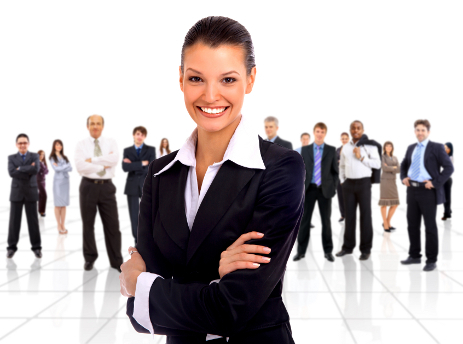 ICBI has created courses that help you build a career or even a business in image consulting. This wonderful career opportunity for women in particular, who not only want flexibility of time but feel the need to create a difference . This gratifying and promising opportunity give them the best of both worlds Shorter programs are also created to enhances certain careers objectives like Training, HR and PR or person trying to improve their individual or their companies image. Summing it up, let’s just say that the size of the opportunity for an Image Management Consultant is immense as the industry is set to grow exponentially in the next few years given the tilt on the demand side. So, apart from being a gratifying profession in terms of personal fulfilment, this is also going to be a very lucrative one. I would like to know what minimum educational qualifications are required to take up this course? Firstly, this is a business opportunity not a course. Any individual taking up this opportunity should be a good communicator, should have a passion to change people’s lives and has to be computer savy. Can you please suggest me how to apply to be a image consultant ? Image Consulting Business Institute offers a business opportunity. You need to register on the website i.e. imageconsultinginstitute.com to get invited for a business presentation. I’m a Computer Engineer & I also have a PG degree in E-Business. Tell me how can I get into Image Counselling (Corporate, Educational, Personal)? I’ve worked as a SAP & CRM consultant (Solution Business) in my past and Image Consultanting is something which I’d really like to go forward with. Seeking for your promising guidance. Kindly visit our website and register for a free presentation in your city. i would love to become a consultant pls help me out. Kindly register on the website to attend a free presentation. I am interested in this business opportunity. For details kindly register for a free presentation on the website or call on 26430438 / 39.
i m a marketing professional and and working from last 8yrs.would like to know how this will b helpful in my area and also how to join it. To know more detials, kindly register on the website to attend the free presentation or call on 022 26430438 / 39..
i will become a graduate(bba) in the next 3 months. after my graduation i dont wnt to end up with mba but sumthing in which i am reflected and not my job. i read about image consulting career options once you do the course n was interested in it. do you think this career option would fulfil my expectations? To know more details about our various courses, kindly register on the website to attend a free presentation. please guide me.. how can i apply for this job? i want to learn about the same.. i have done my project in image consultancy only. right now, i am done with my post graduate degree from NIFT,Mumbai. and wants to go further in this. please guide..
We have various training programs, kindly visit our website for more details or call on 022 26430438 / 9.. I am right now pursuing my graduation(B. Tech) fron Bangalore. I wanted to know can i opt for this course (diploma) along with the graduation. I am a trained photographer and have won many awards in this field. For more details, kindly register on the website to attend a free presentation or call on 022 26430438 / 39..